That Tom Ford loves Lana Turner in The Postman Always Rings Twice. I concur Tom. 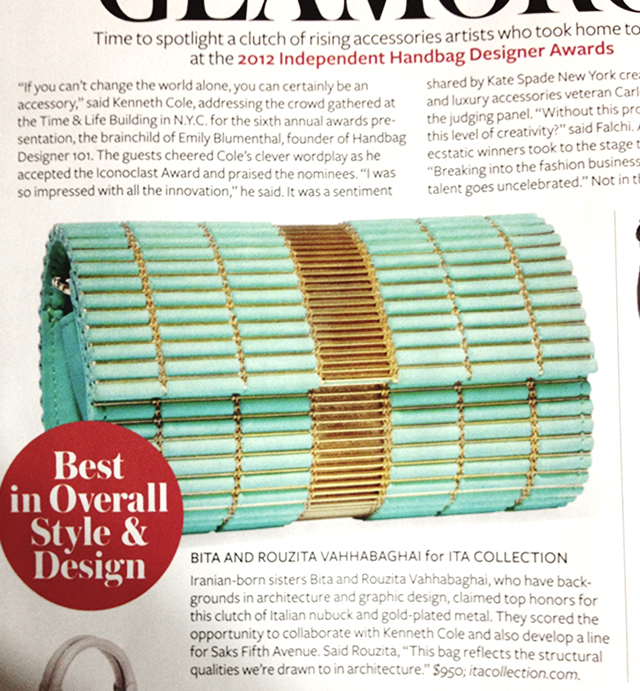 This bag by Bita and Rouzita Vahhabaghai for ITA Collection. Rihanna’s trench by Opening Ceremony. Gwen Stefani channeling Veronica Lake in the L’Oreal Preference ads.